Just keep it simple and see how you go – Where Is My Teaspoon? Really excited to have a 4 day weekend this week – the dream! I’m flying to Ireland really early tomorrow from Stansted so have to do some last minute packing now in a bit. Looking forward to a nice coffee and a magazine at the gate. I haven’t really got much planned for once I’m home but just can’t wait to switch off for a little while. Now I have my exam over me it should be much easier to relax. Plus, I have a lovely bedroom at home so can’t wait to crawl into bed. I will try to take a few photos though and share them with you so you can see what I get up to and all the lovely scenery. Today I want to share a simple but delicious recipe for Rhubarb Tart. 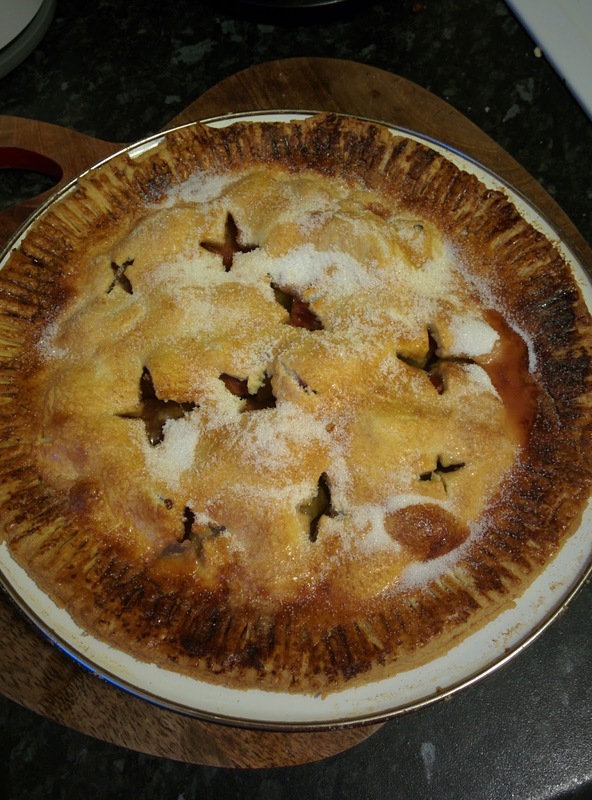 If you follow the blog regularly (please do) you’ll know I have been baking with Rhubarb a bit lately. I love seeing pink peak through the odd crosses in this pie – it looks so homemade which makes me very proud. 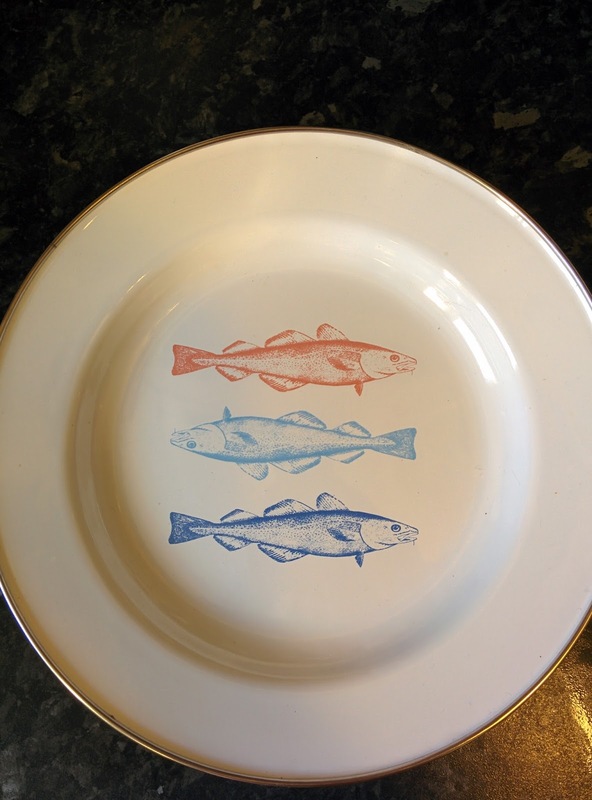 I had this idea of making a simple Rhubarb Tart ever since I got this new enamel plate – how cute is it? I picked it up in TK MAXX for about £3 as well. Tarts made in this way, on a plate, remind me so much of home as it’s what my mum always does. Also, they are a simple treat or dessert that can be dressed up with custard or ice-cream if it needs to be more indulgent, but are just as nice on their own. Firstly, grab your plate and grease it well with butter and dust gently with some flour. Wash and chop the rhubarb into 1-2cm pieces. Place in a bowl and add 4 tbsp of sugar. Mix it all up and leave to one side. Weigh out your butter and flour. Rub the butter into the flour until it resembles bread crumbs. Add 2 tbsp of cold water and try to bring together. If you need more, add the other tbsp. Try not to add much more than this – you shouldn’t have to really. Use your hands to push the pastry together. Dust some light flour onto a clean counter and gently knead the pastry together. If you have time, wrap the pastry up and put into the fridge for about 20 minutes. Cut the pastry into two pieces. You can only work with one at a time so pop the other back into the fridge. Roll out the pastry to be slightly bigger than the plate and place on top of it. 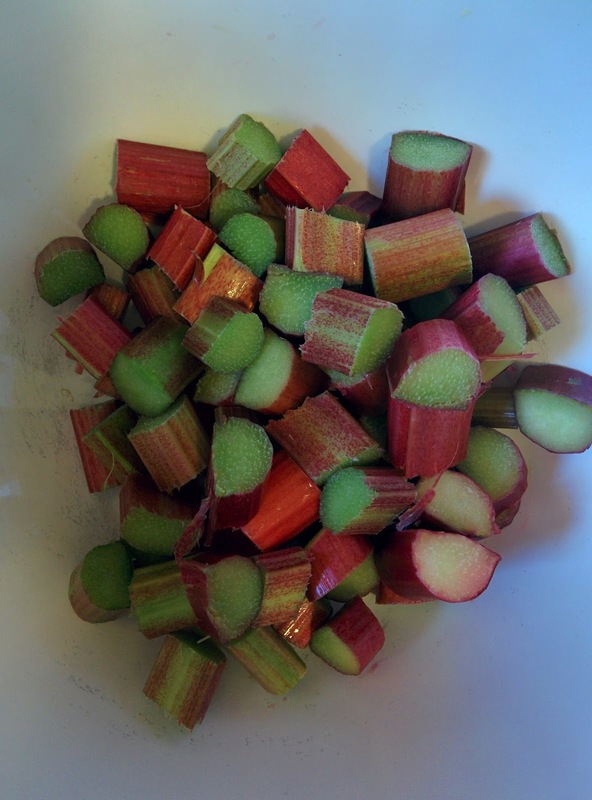 By putting the sugar in the rhubarb, you will encourage water to come out of the fruit. This is a good thing because you don’t want the pastry to get a soggy bottom. Gently squeeze the fruit to get as much water off as possible and then place onto the pastry on the plate. Sprinkle another spoon of sugar over the fruit. Take the other half of the pastry out of the fridge and roll out, again bigger than the plate. Place on top of the fruit and press the rim down. Get a sharp knife and cut around the plate, taking away any excess pastry. Using a fork, press down the rim of the pastry down all round the plate. Brush egg wash over the entire top and sprinkle lightly with sugar. Cut little crosses randomly around the top. Bake in a preheated oven at 220 degrees for about 10 minutes, after this lower the oven to 190 degrees and bake for another 30 minutes. When baked, it’ll be lovely and golden brown. As rhubarb is such a watery fruit, do not cut into the tart straight away. Leave it to cool for at least 30 minutes if not over night. This will allow it to set a bit more. Enjoy on it’s own or with custard and ice-cream – you pick! A simple tart like this is always a welcome sight. Be sure to keep up to date with me on Twitter and Facebook to see more photos of my bakes and various other bits. Next Post Leave that kettle on.